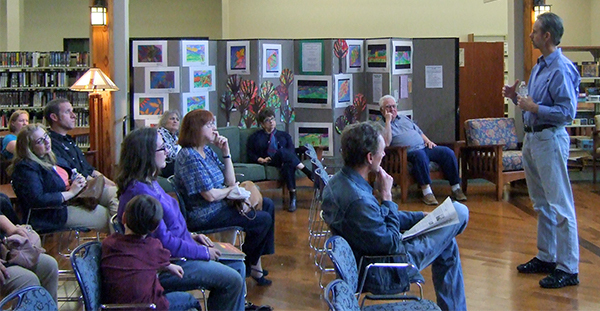 The Macon County Library features several display venues for local artists and crafts people. Come see what is currently on display, and ask us about putting on your own creations for exhibition! 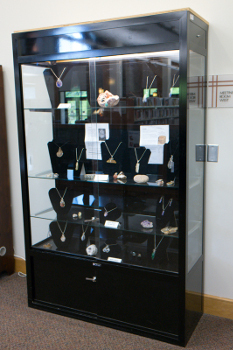 Macon County Public Library has two display cases (one upright, lit display and one table display), a set of roll-out panels, and the MCPL meeting room walls. 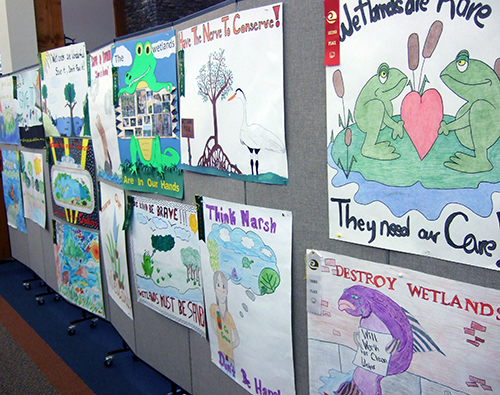 We also have areas around the library that would be suitable for easels, signs, or displays. We would love to discuss your display with you! If you would like to display your creations or collections, contact us at 828-524-3600. Please see the display policy and display agreements for more information. Please note that prior to displaying your collection, you will need to provide an inventoried list of the items in your display.